Looking for something different? 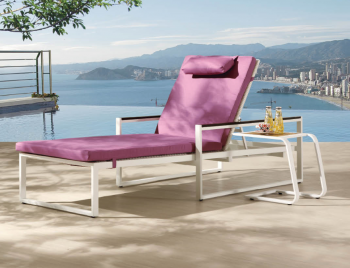 Our Wisteria collection is our newest design in outdoor woven furniture. 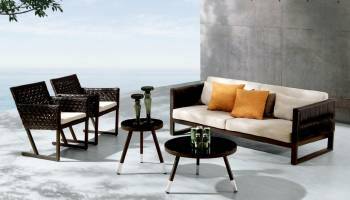 The Wisteria utilizes a cutting edge weave technique which offers a rich, sophisticated look without sacrificing comfort or quality. 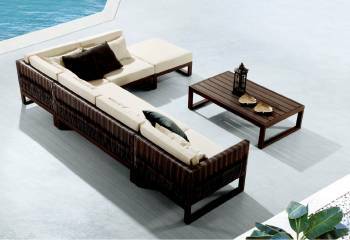 The elements within this Wisteria Set give it a sophisticated and stylish appearance while offering plenty of room for gathering and lounging. 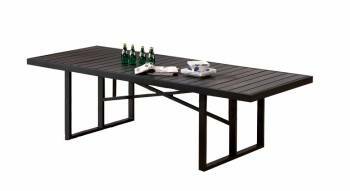 Description: Constructed of heavy gauge powder coated aluminum frames with several top options to choose from like; glass, teak and poly-wood. 100% Commercial Grade Quality. 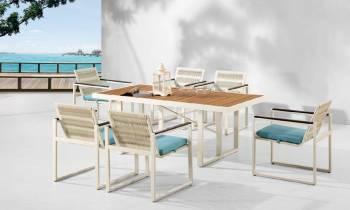 Wisteria Dining Set for 8 from Babmar. 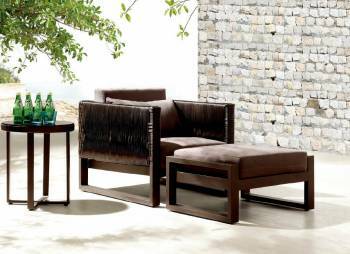 Made of heavy gauge aluminum frames woven with high quality outdoor wicker. 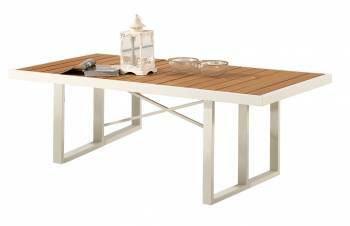 Perfect for any outdoor dining space. 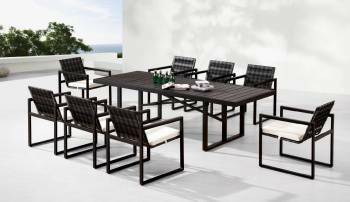 Wisteria Dining Set for 6 from Babmar. 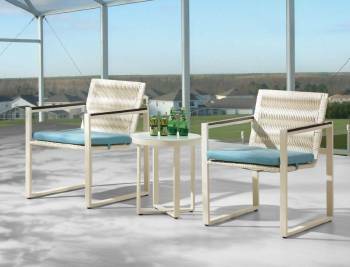 It is made by heavy gauge aluminum frames woven with high quality outdoor wicker. Get free delivery or contact us at 877-271-8008 for Express shipping.